Currently celebrating their tenth year of business on the Slough Trading Estate, I & A Car Services is a small family run business which offers a comprehensive range of services for all makes and models using up to date diagnostic equipment and using only the best products on the market for the maintenance and care of your vehicle. All fitted by our experienced and trained technicians. Serving the Slough, Windsor & Maidenhead area we offer a local collection and delivery service and are open Monday - Friday 8:30am - 5:30pm and 9am - 1pm on Saturday. 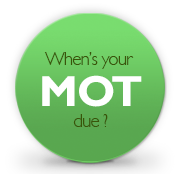 As well as our current offering of manufacturing based servicing, air conditioning and diagnostics, we also have facilities on-site to MoT vehicles up to 3 tonne including cars and vans; as well as motorcycles and scooters, all conveniently located on the Slough Trading Estate with bus & train links to Slough and Maidenhead, only minutes away. As members of the Motor Industry code of Practice and as a Mobil 1™ Service Centre, we are confident that you will be more than delighted at the service you receive. Call now to speak to one of our representatives, who will be happy to advise you.